✅ Trip Verified | If Delta Economy comfort is supposed to have more room than regular coach, I can’t imagine how tight regular economy must be. These seats are tight. I had seat 12A and I’m pretty sure it had less room than the other side. 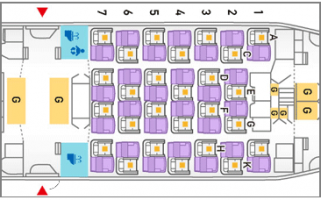 The rows are offset and it seems like they made up some room on 12A-C. I would avoid these seats if you can. Row 10 has the most legroom on A-C as it has first class and no bulkhead in front of it. "a comfortable way to fly"
✅ Trip Verified | Atlanta to Paris in Delta Premium Select on Boeing 777. Seat was reasonably comfortable in the full upright position although not much of an improvement over regular economy. 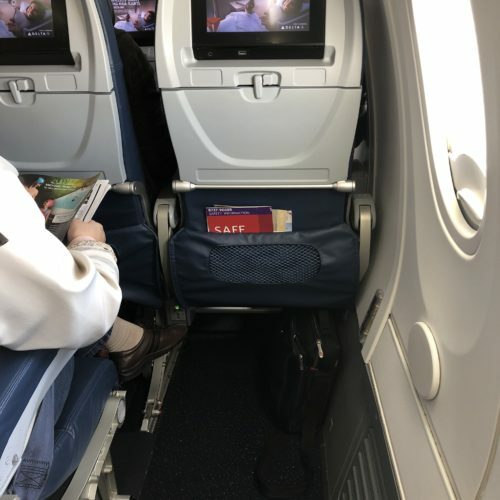 In the reclined position, the fold-out footrest was just a little bit short for my height/leg length (I'm 5'11), but the extra recline and legroom was much appreciated. Delta provided noise cancelling headphones but the noise cancelling effect was minimal at best. If you use your own earbuds/headphones, bring a two prong adapter. 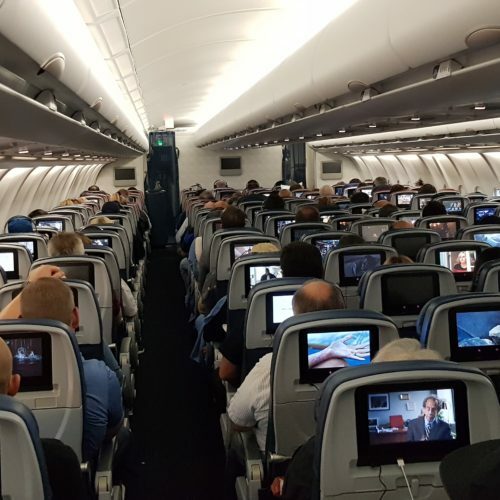 The video screen is larger than economy and Delta's usually excellent selection of movie and TV options is available. Meals were served on real China and flatware by an attentive dedicated flight attendant. I had a delicious steak dinner that could have passed for a business class meal, although it was served all at once rather than in courses. The TUMI amenity kit comes with a nice zipper case but skimpy in its contents. 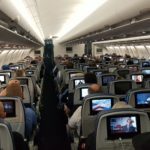 In all, Premium Select is a comfortable way to fly and a significant improvement from Economy but not worth the steep price, unless you get upgraded. ✅ Trip Verified | I seated at 51J and 50A seats for my outbound and inbound flights. These seats are windows side which provide a good view in economy cabin. However, it take a little bit difficulty when we want go out during these long haul flights. The seat legroom and width in economy cabin is quite comfortable. It was a long time not flight with Boeing 777. I always remembered the big noise from their engines so that you should prepare and use earphone with noise cancellation if you flight with Boeing 777. ✅ Trip Verified | MD-90, Seat 21E next to window provides a nice view with almost two windows. The seat width is smaller but it is still good enough for me. There are AC power supply in your seat and WiFi during flight. ✅ Trip Verified | The Boeing 717-200 Seat features an AC power port as well as a USB port. WiFi is also available during the flight. 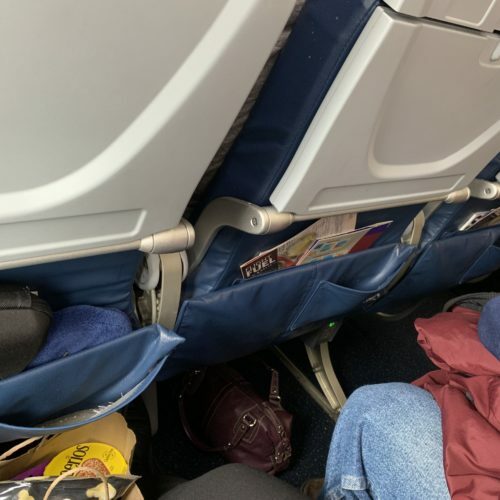 The aisle is narrow and difficult for moving so that an aisle seat might be not a good choice. 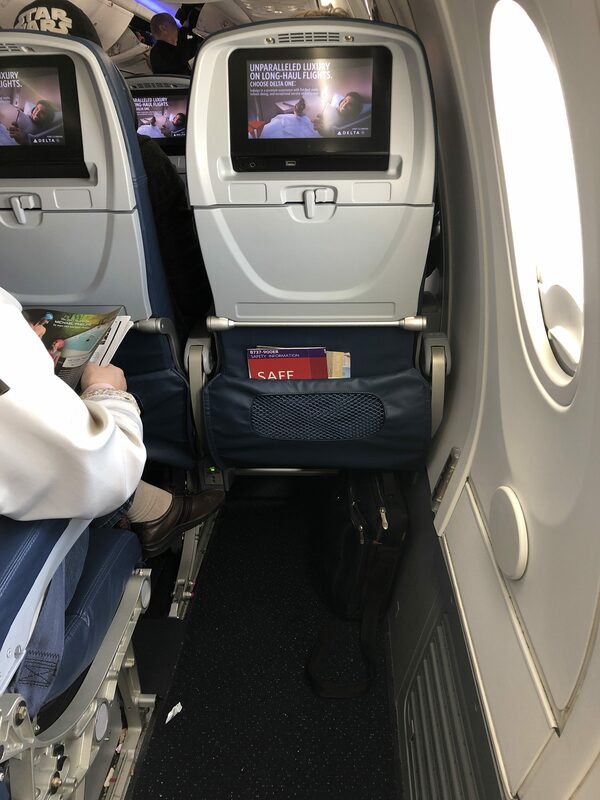 "seats that are very comfortable"
✅ Trip Verified | After having had my Air France flight canceled I have been relocated to this delta flight from JFK to CDG. I was really not expecting anything from this flight but getting home as fast as possible. And I can say that I have been very positively surprised: brand new plane less than 1 year, new seats that are very comfortable with enough space for me 1.85m. The IFE was very modern with large screen and a great variety. Found was very good expect the breakfast a little bit too few to eat. The flight crew were very polite and helpful. Great flight great surprise I would flight Delta again. I find the A330 much more smooth than B777 for take off and it appears to have a wider cabin. 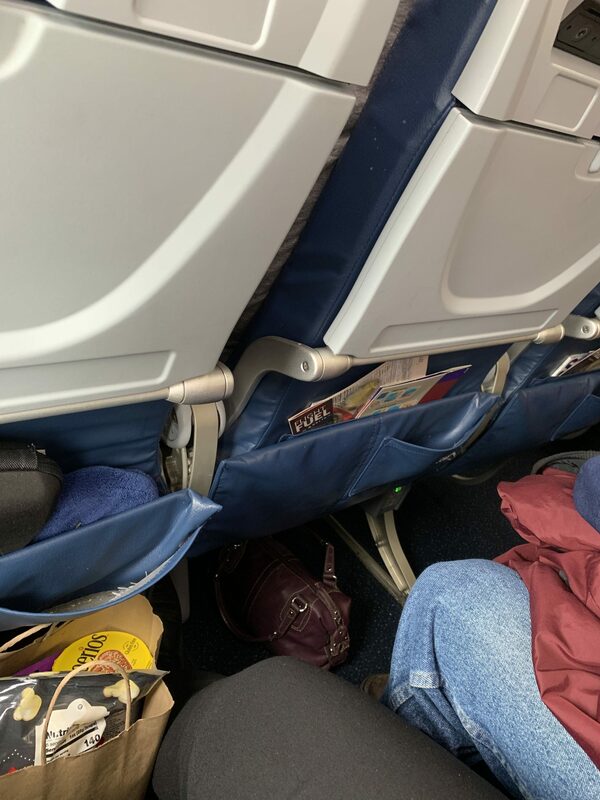 ✅ Trip Verified | 21F is awful, the seat is narrower than the others, because the seat in front of me was removed the inflight entertainment is to far away cannot utilize it (ear buds too short). It is nice to have extra room though, but not at the expense of smaller seat and no entertainment. ✅ Trip Verified | Very bad deal. Hard to see the difference with economy. A red strip. You are in the same cabin. No interest. They recline a bit more but the downside is that if your front passenger recline while you re working, your laptop is at risk (and everything on your table) and you've just lost the few extra inch that you're supposed to have. "not having a window annoying"
✅ Trip Verified | Seat 22A did not have a window. The seat was comfortable enough, and the screen and power were great to have, but not having a window was really annoying. I couldn’t see anything. It wasn’t just a misaligned window. It was no window. Otherwise, it was a pleasant enough airplane. "I had to sit upright"
✅ Trip Verified | The flight I took, I was not lucky at all. Because there was a 6ft tall person sitting behind me, recline was impossible. As a result I had to sit upright during a 9 hour flight while the passenger in front of me was fully reclining. I asked for another seat, and that one was not given.